Do you need help with water damage restoration in Houston, Texas? If so, you have found the best company to assist you. Reliable Houston Air Duct Cleaning has been offering trustworthy and important services such as water damage repair in Houston, TX for a great deal of time now. This is a service that requires immediate attention because the longer it is put off, the worse the damage can become. 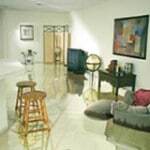 Houston water damage restoration solutions are only a phone call away with us. If you call us, you can expect that we will attempt to get you set up with a same day appointment because we truly understand that time is of the essence. We won’t charge you some ridiculous rate for getting you set up with a prompt appointment, either. We want you to live in a comfortable and safe environment, and after a flood or serious leak or spill, the only way to ensure that your living environment is safe is by calling in professionals who have high quality, professional grade, advanced equipment that can detect problems like moisture in your home. We have equipment such as air movers and dehumidifiers that can help us to get the mess cleaned up effectively and completely. Moisture that is left in your walls can cause mold. Water that is left in your floors can cause them to become warped in appearance. Don’t let water destroy your property. Call in the team of experts at Reliable Houston Air Duct Cleaning and make a fast appointment for water restoration in Houston, Texas. We are qualified to do the job. We are licensed as per industry standards, and we are insured. We won’t cause any additional damage to your property in doing our job. You can have faith in us. Unfortunately, when water is involved, problems can develop and worsen quite quickly. Fungus and mold can develop, which of course is not good for your health or for the health of anyone in the home. As discussed, the floors can become warped. There can be rotting in the walls which can lead to holes. You need to have someone who knows what they are doing help you out in this sort of situation. 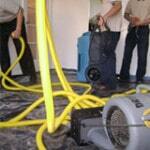 Our crew is experienced when it comes to Houston water damage restoration. They will make sure that all areas of the home are inspected very carefully. They will first conduct an inspection, and then make sure that all remaining water is cleaned up. They will then utilize any equipment necessary to remove mold spores, mold and other contaminants. They will dry your home as quickly as possible in order to salvage your property and prized possessions. Before you lose hope, give us a call so that we can at least assess the situation. If it can be saved, we will let you know. If it is unhealthy and unsafe, we will tell you. 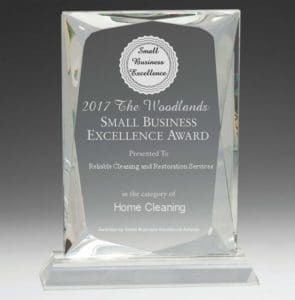 Reliable Houston Air Duct Cleaning has become the area’s most trusted company for Houston, Texas water damage repair and water restoration services. Houston area locals who have hired us have nothing but great things to say about us. Make an appointment with us today or call to find out more.